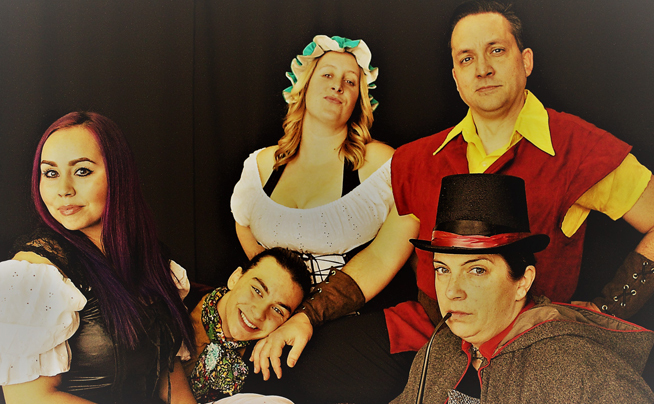 Seaway Valley Theatre Company presents Beauty and the Beast. The Disney classic Beauty and the Beast comes to life at Aultsville Theatre this month courtesy of the Seaway Valley Theatre Company. The major musical production – which promises to be the company’s most lavish yet – features nearly four dozen of Cornwall’s best-known stage actors. “Our rehearsals are now on the big stage. We are so excited to finally be dressed in costume, dancing on sets and singing under the lights. This show is going to be spectacular,” said Director Lesley Ellam. Mrs. Ellan is joined by co-producers Lise Richer and Christiane Taylor, and the musical director is Brian McCartney. The classic story tells of Belle (Melissa Dionne), a young woman in a provincial town, and the Beast (Jim Malyon), who is really a young prince trapped under the spell of an enchantress. If the Beast can learn to love and be loved, the curse will end and he will be transformed into his former self. But, time is running out. If the Beast does not learn his lesson soon, he and his household will be doomed for all eternity. It’s a family-oriented production which is ideal for audiences of all ages. To that end, its run includes a special Family Day matinée, the first ever for the Seaway Valley Theatre Company. The curtain will rise at Aultsville Theatre, 2 St. Lawrence Drive, on February 16, 17, 23 and 24 at 7:30 pm. Two matinées will also be performed, on February 18 and 19, at 1:30 pm. Tickets are $23 for adults, $21 for students and $19 for children under 12. All admission prices include a $1 Aultsville capital refurbishment fee. Tickets are available in advance online (click here) or in person or by phone at the United Way office at 405 Fourth Street West (613-932-2051). Office hours are Monday to Friday, 8:30 am to 4:30 pm. They will also be available at the door for one hour before each performance. For more information about the play, visit www.svtc.ca. Be sure to follow the hashtag #SVTCBeautyBeast on social media, too.